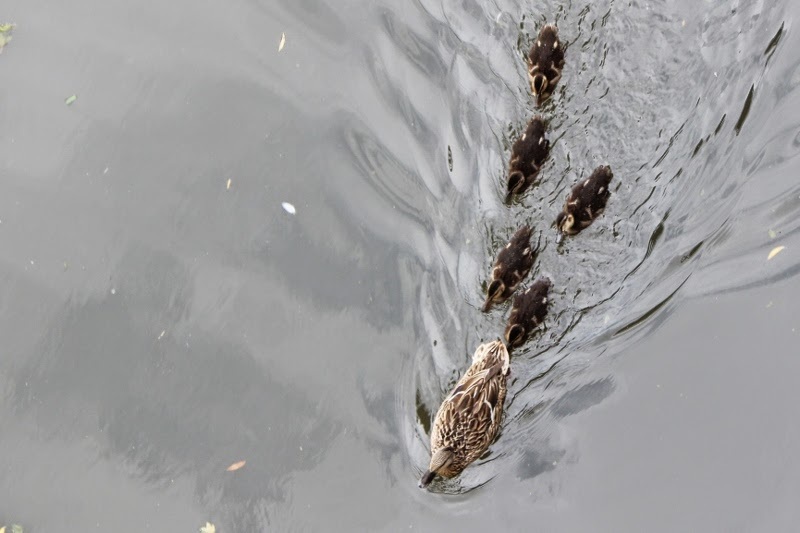 A birds-eye view of ducklings plus their mother. I saw three young mallards yesterday, also from a bridge, that apparently were old enough to be off on their own away from their parents. They all look like they are in a hurry. Sweet!